I haven’t been writing much here lately as life’s other obligations have gotten in the way. But I have listened to a whole lot of kindie music this year. This years top ten is only a top 7 because these are the ones I remember without effort. It seems after 46 years the memory just went. If I remember a CD later I’ll just amend this list These are ones that have spun in the car and in the house. The ones that my children still request and dance and sing along too. 7. We All Shine – Playdate. Good CD and they stole my publicist and photographer! I’m not bitter at all. You can read the review HERE. 6. Hamster Pants – Ratboy Jr. This CD got a lot of play in the car this year as well. There silly pop philosophical musings of hamsters in pants, barbarian librarians and skunk and robot relationships kept us entertained for hours on the road. 5. 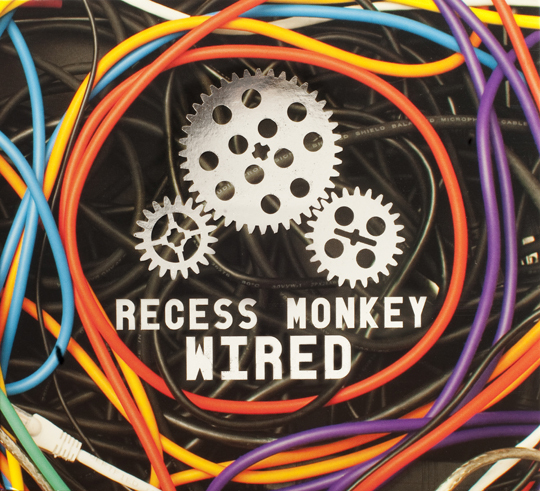 Hot Air – Recess Monkey. Them boys have really hit their rocking stride in their last two CD’s with the John Vanderslice guy recording all analog and funky. 4. Trees – Billy Kelly and Molly Ledford. If ya told me you were going to make a CD about Trees I would of laughed at you. Well this is the second CD on that subject to prove me wrong (Underbirds was the first) and this one went and got a Grammy nomination. Strong songs by two fine song crafters. 3. 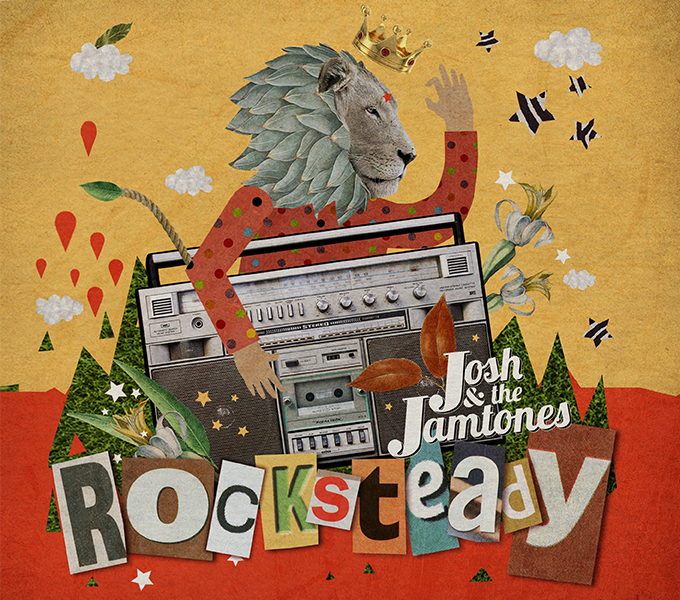 Rocksteady – Josh and the Jamtones. I gave Josh and Pat a bit of a hard time over the narration on there last CD Bear Hunt but loved the music. My kids dug both. Well we all agreed this year that this CD was rocking right beginning to end narration and all. No one rocks as hard as these guys and they include horns! Really a great CD. 2. How Great Can This Day Be – Lori Henriques. On my post earlier this year I described this CD as pure joy. Any other year it probably would of been #1 on my list. This also received a well earned grammy nomination and you should should check it out. 1. Deep Woods Revival – Red Yarn. On a two week road trip with my kids to Colorado this became our soundtrack and we as a family never tired of it. Along with Big Audio Dynamite, John Mayer and Bob Seger this one was constantly requested by the wife and kids. It is also this years Rymer Award Winner for the CD that should of been nominated for a grammy but didn’t get there. It’s folk music, opera, story telling and a full audio experience. 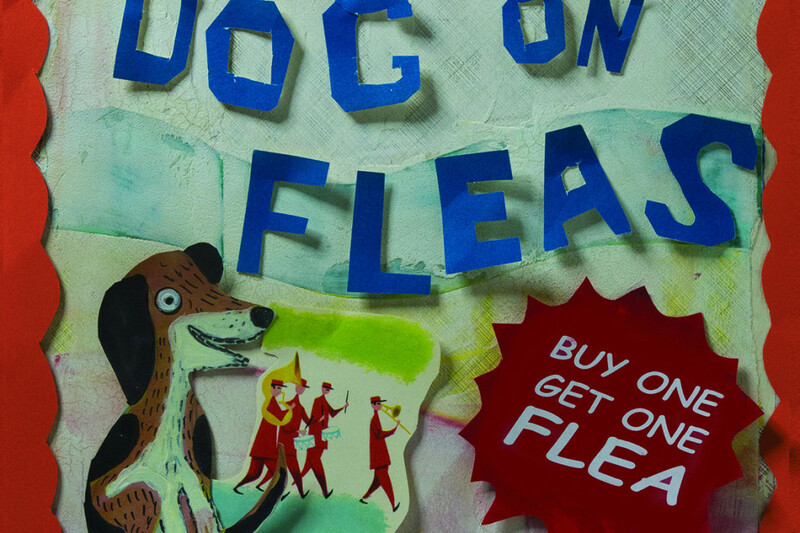 Andy Furgeson gets better with every CD he puts out and this one is my favorite this year. That’s all for now folks. See you in 2016!!! Posted on July 17, 2015 | Comments Off on Don’t call it “kiddie music”… It’s rock n’ roll to me! Nobody rocks harder than Josh and the Jamtones. Period. Other bands are equal too but nobody surpasses the kinetic energy this band brings to shows and CD’s. Once they get moving this Jam is hard to stop! I’d class them sharing the most energetic kindie band title with The Not-Its (one of our favorites and awesome live shows!). These are bands that can rock out with anyone. Don’t just call it “kiddie music.” There is a whole lot going on here for the whole family! On their upcoming release Rocksteady, Josh and the Jamtones folk bring all that power once again. Not only that but I think this is their most cohesive effort to date. Don’t misunderstand me. The music is always infectious, horn powered and rocking! While I loved the music I found the narration on their last effort Bear Hunt a little distracting. However my kids found it hilarious. So-what-do-I-know??? On this one the whole clan is in agreement and Rocksteady has been sharing space in the much vaunted car CD player with Red Yarn’s upcoming release (review next week). The groves and vibes are so good on this CD it’d make Pooh forget about honey, Snow White forget about that poison apple and Scrooge a good tipper! Rocksteady is a infectious, skatastic driven, old school, original horn powered reggae music festival of kinetic joy! When it comes out GO BUY IT! The CD releases on August 21st and will be available at the Jamtones page plus iTunes, Amazon and CD Baby. Go support an independent artist today!!! Check out the first video from the new CD Rocksteady below!!! Comments Off on Don’t call it “kiddie music”… It’s rock n’ roll to me! This is where I list songs that are appropriate for all ages. My response to those who claim “kids” music is simplistic and limited. 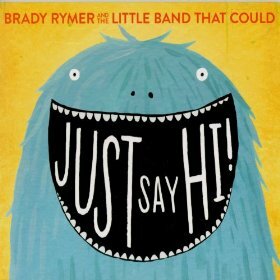 “Good Music Knows No Age” is how we respond and here are three more songs that could be played alone or mixed with others with no one the wiser they came off of a Kindie CD. 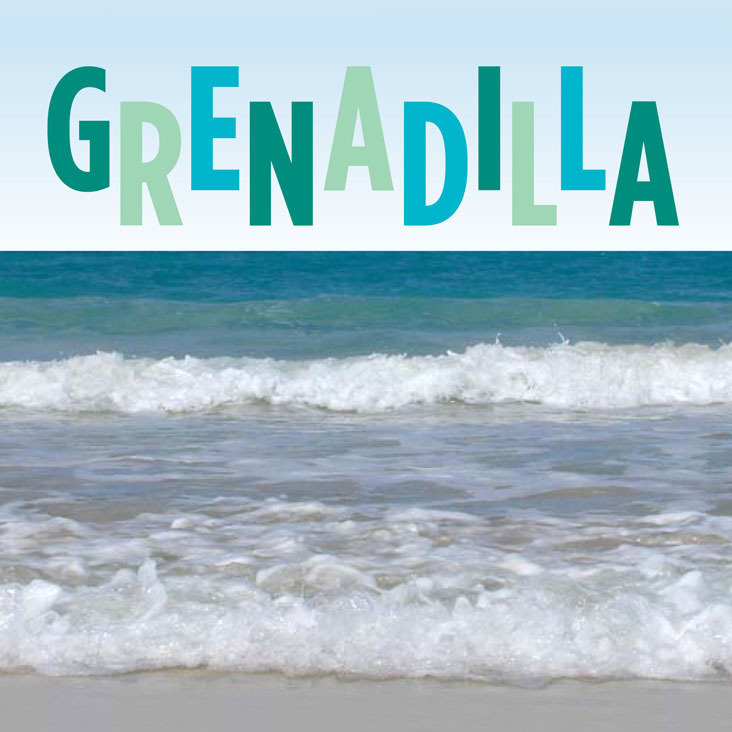 Grenadilla – I Shall Sing. With the funky bass beats, perfect harmonies, pian0, guitar and even a tin whistle this song just exudes joy. It has a tropical rhythm. Appropriate for any set list. 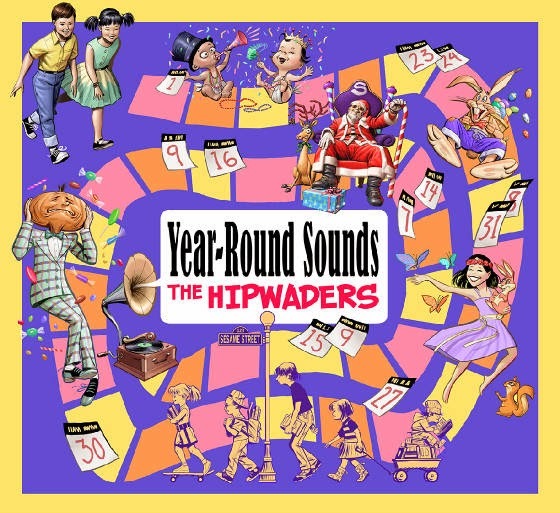 The Hipwaders – Hey Josie. It’s a perfect piece of California Pop Music. Strong Vocals and harmonies, power chords and that California sound though and through. One of the best crafted tunes you’ll ever hear! Josh and the Jamtones – Jump Up. The title song off of there debut CD is ska infested dance party madness! It has to be 3 minutes of the most energetic music I have ever heard and it would play anywhere at anytime. That’s three more songs to add to our ageless kindie music list for now. Please add suggestions you may have for consideration. Its late Saturday and my wife is recovering nicely from pneumonia. We’ve been having an on and off dance party of sorts and my daughter has been spinning the CD’s today in the house and a fine job she has done. First the newest Francis England– Blink of an Eye followed by family favorite Grenadilla –Grenadilla and Kira Willey –Kings & Queens of the Forest. She also threw in some Recess Monkey– Tambourine Submarine and we are now rocking to Josh and the Jamtones – Bear Hunt. It seems my kids like the comedy interludes while the parents do not. Both agree the music is pretty awesome. All the music listed above is worth buying. Go support you local kindie artist. Next week I am going to list my favorites songs of this year. Plus other stuff so stop on by! Just added Underbirds – Underbirds. This girl is on a roll! The last few weeks here have been not of my own determining. My daughter had pneumonia two weeks ago and now after much prodding my wife finally went to the hospital and found that she now has pneumonia. So A Man, A Band and a Plan HQ is sort of shutdown. Any plans I had to write about the Grammy votes for bands I felt had made music worthy of voting on went out the door. I will say that I did vote for Justin Roberts and The Boogers. Both big supporters of the Poochamungas and both put out really great CD’s. The other 3 votes went to really great bands who are among the ones I am listing below for my top ten this year and please ignore the order as anyone of these could easily be at the top of my list on on given day. If you follow this page or the band your aware that on September 29th, 2013 at 2pm we have a CD release party at Schubas!!! October 8th is the official release date. At the Show we’re gonna have free posters, CD giveaways and lots and lots of FUN!!! Koo Koo Kangaroo gets the party started and then followed by the ever rocking Poochamungas. To prepare I have been doing interviews and calling friends and inviting the press and all that other stuff to get the word out! 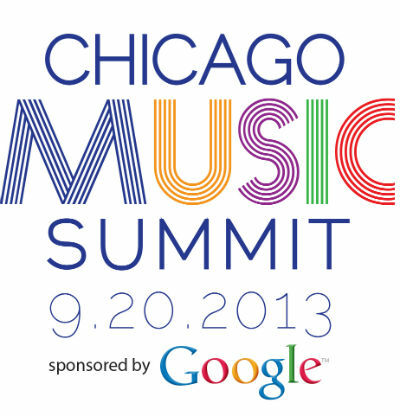 Tonight I am headed to the first ever Chicago Music Summit at the Hard Rock Hotel to further spread the word of the Poochamungas. Taking a few business cards and a couple CD’s. Who knows it may be the BIG BREAK for the band. More likely I meet some neat people and word of Poocahmungas gets spread a little further. 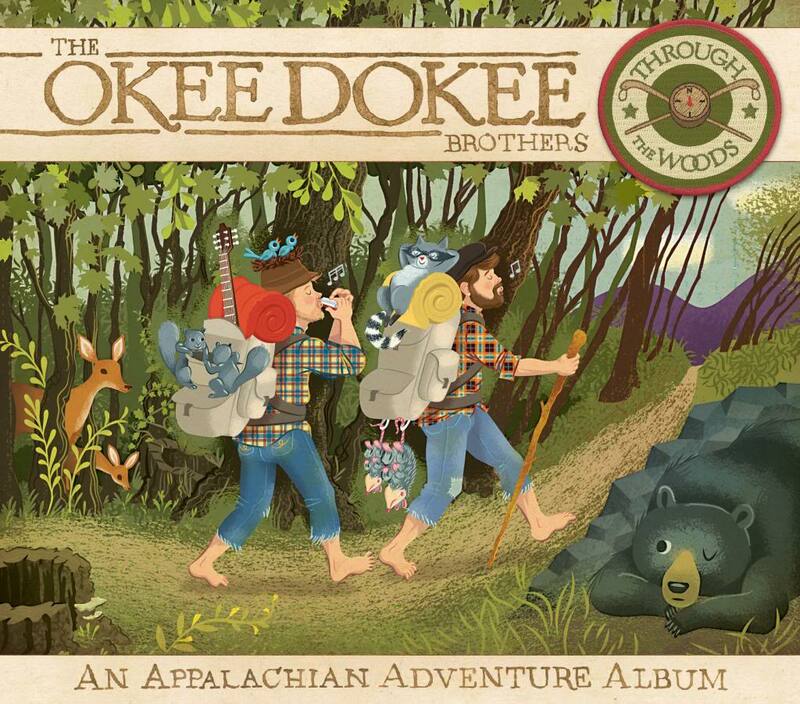 Some of the Music I have been listening to… Baze and His Silly Friends, Josh and the Jamtones, Francis England (reviewed), Justin Roberts (song review), Story Laurie (song review), Lori Henriques (cd review), Okee Dokee Brothers (wife’s request), Dirty Sock Funtime Band, Alistair Moock and others . I gotta run and go get some brakes fixed. Hope to see you at the big show!